The legendary Douglas DC-3 airliner was a technological breakthrough that changed the course of both civilian and military aviation. In the 1930s, passenger air travel was expensive, uncomfortable, and frequently unreliable. That began to change with the appearance of the handsome, thoroughly modern DC-3, the twenty-one-passenger twin-engine propeller-driven creation of Donald Douglas and his young California company. The first production models were sold to airlines for $90,000. The price climbed to $115,000 just before the United States entered the Second World War in December 1941. The new plane quickly became a favorite of passengers the world over, and it became the first truly profitable plane for the industry. The threat posed by the coming war made the US Army realize that a military version could handle the vital troop and cargo transport capability soon to be needed. The C-47 Skytrain was born and evolved into specialized versions with many nicknames: Gooney Bird, Dakota, and Puff the Magic Dragon. In WWII, General Dwight Eisenhower was so impressed he referenced it in his famous comment: ?The four pieces of equipment the most vital to Allied success in Africa and Europe were the bulldozer, the jeep, the two-and-a-half-ton truck, and the Douglas C-47.? 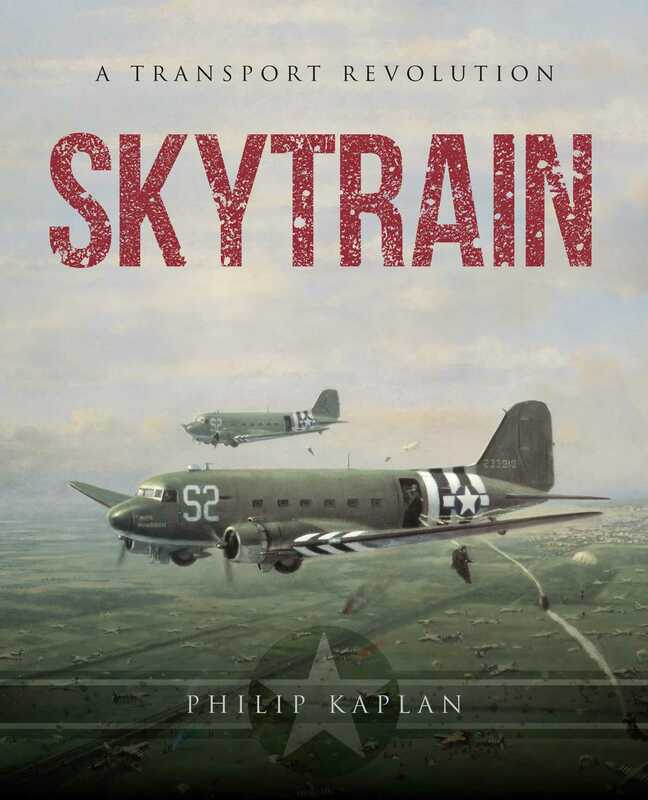 Skytrain celebrates the long and distinguished career of this great plane.